With the election looking like it’s too tight to call it appears most, if not all, of the political parties are going out on an anti-development platform to win wavering voters. For all those in the industry, whether on the developer or planner side of the fence, the last thing any of us want are more badly thought out, knee-jerk policies that could hinder an already frail and under-resourced planning system. Politicians recognise that as a country we’re not building enough new houses whether for private sale or affordable. However, the Conservative proposals seem likely to make the situation even worse by selling off Housing Association homes to tenants at a discount, thereby reducing the stock and exacerbating the already overheated private rented market. A survey of the general public by the KM Group showed 30 per cent saw the economy and jobs as the main issue in determining how they would vote. We all know that if we want jobs, we’re going to need housing. Thankfully 43 per cent of the people in the same survey agreed ‘building new houses should be a top priority for the government’, 25 per cent disagreed, with the remainder ambivalent. That’s all very positive news for housebuilders, until you find out that in the same survey 61 per cent agreed that ‘protecting the countryside should be a top priority for the government’, with only 11 per cent disagreeing. Garden Cities, even Garden Towns would be a start, and it is no surprise to see them being promoted by Conservatives and Labour alike. Building more houses to meet the known demand is laudable, as is wanting wherever possible to build upon brownfield land, but doing this at the expense of practical and sustainable urban extensions seems implausible given the scale of the problem. 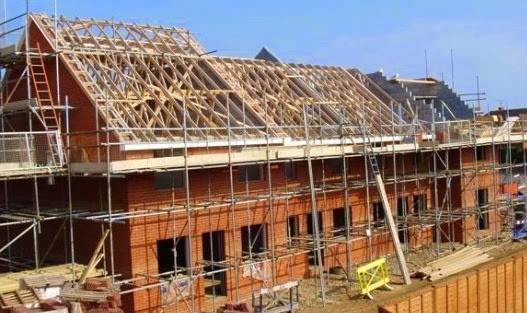 Not surprisingly the Greens have called for the scrapping of the National Planning Policy Framework (NPPF) and in particular the presumption in favour of sustainable development. While the NPPF may have its faults, many would argue it has improved the situation, the challenge is how it will operate if there’s greater local say over decisions as promoted by various parties. Then there’s UKIP, who are pushing the ‘let’s give the local community a greater say’ button and proposing local referenda to overturn large-scale development if signed by five per cent of the electorate. Those in the community engagement sector, such as Maxim, know how easy it is for opposition groups to quickly rack up thousands of digital protesters. Policies include freeing up local authorities from ‘government-imposed minimum housing numbers’ and ‘reversing current policies of facilitating large-scale rural residential developments’. They also want support for the self-build community and want to promote smaller six to 12 unit developments in rural areas to extend existing villages. However, many small housebuilders will tell you that securing 10 units on the edge of a village can be as troublesome as gaining approval for 150 on the edge of a town. How UKIP would stop this happening is hard to see. The Greens have also called for all new homes to be built to Passivhaus standard, a ludicrous suggestion given only 30,000 truly compliant Passive Houses have been built worldwide – and the UK needs to be building more than 200,000+ homes a year. Combine this aspiration to build 500,000 social rented homes in the lifetime of the next Parliament, and the Passivhaus ambition and the chances of them being delivered are nigh on impossible.